Late October will see the release of Saytek’s ‘Live On Cubism Vol.3’ via the Cubism imprint, a 23-track live album from the English producer. 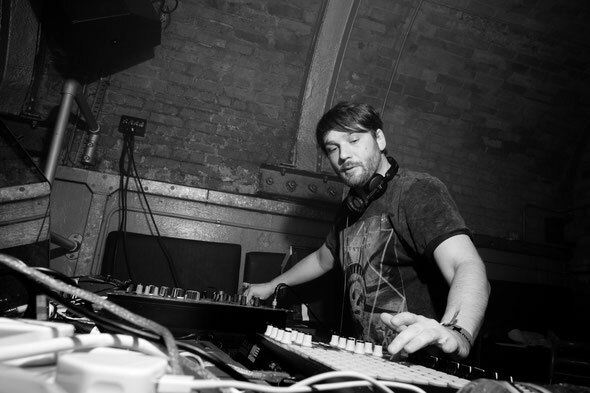 Joseph Keevill’s reputation has grown over the years for his energy fuelled live sets under his Saytek guise, his DJ Mag nomination for ‘Best Live Performer’ in 2013 standing testament to this. Bookings at leading nightclubs across the globe, such as fabric (London), Space / The Zoo Project (Ibiza) and Tresor (Berlin), are further affirmation of Joseph’s talents as a live electronic music performer. Amongst touring live Saytek has a back-catalogue of material, having unleashed original output for labels such as Soma, My Favorite Robot, Monique Musique and recently signed material to Kevin Saunderson’s KMS imprint. Here he returns to the Cubism imprint with ‘Volume.3’ of his ‘Live On’ series, recorded live in his East London studio with an amalgamation of outboard equipment from the likes of Roland, AKAI, Korg and Arturia. Across ‘Live On Cubism 3’ Joseph explores a variety of light and dark textures across the spectrum of house and techno. Employing airy pad lines and bright chord sequences to create understated deeper material, while twisted acid hooks, heavy doses of sub-bass and processed vocal lines play part in creating raw and rugged peak-time compositions. Throughout the 80-minute duration of the mix you hear Saytek experiment with live improvisation, resulting in a smoothly progressive, ever-evolving set. 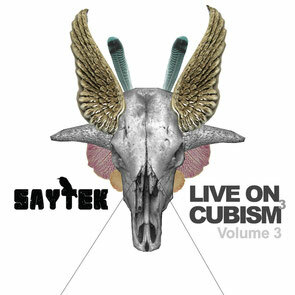 Saytek’s ‘Live On Cubism Vol.3’ is out on Cubism 29 October.